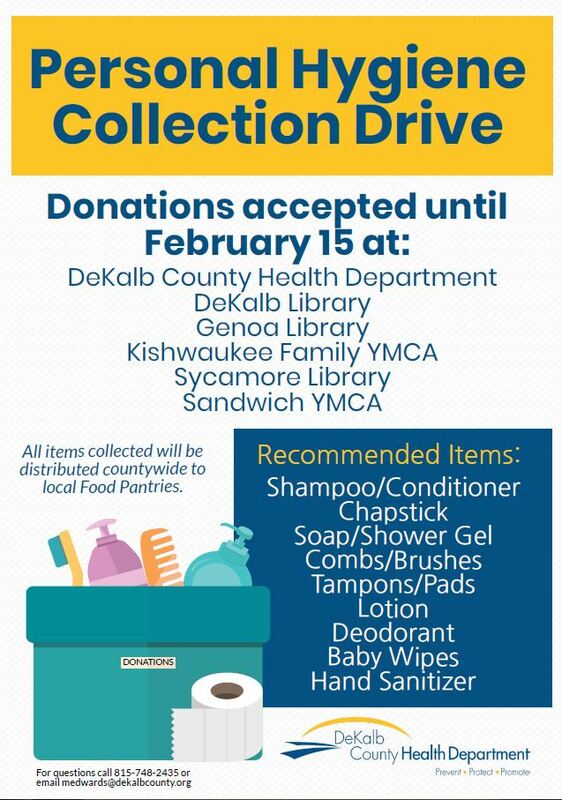 In February, the DeKalb County Health Department will be conducting an Emergency Preparedness drill in effort to not only prepare staff for a public health emergency but also to stock DeKalb County food pantries with personal hygiene necessities. If a business or organization would like to collect items within their agency, items can be dropped off at any of the above community collection sites, or items can be collected from the agency. Please contact Cindy Graves, Emergency Preparedness Director, or Melissa Edwards, Emergency Preparedness Coordinator, to schedule collection pick-ups or for questions related to the Personal Hygiene Collection.